Newcomer Derek Lowe pitched eight scoreless innings as the 2009 version of the Atlanta Braves dismantled the reigning World Series Champion Philadelphia Phillies 4-1 Sunday night. 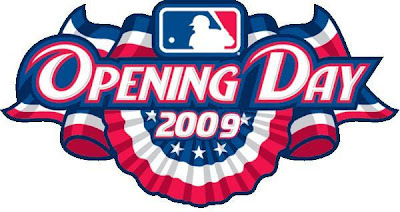 The Braves and Phillies kicked off the 2009 campaign for major league baseball, with veteran Chipper Jones collecting the first hit of the major league season, and Brian McCann crushing the first home run into the second deck at Citizens Bank Park. Jeff Francoeur, with his newly tweaked swing, hit a line drive homer in his first at bat, and rookie center fielder Jordan Schafer became the 99th major leaguer to belt a home run in his first professional at bat. The only highlight for the usually rowdy 44,532 Phillies fanatics was the raising of the championship banner in ceremonies prior to their thrashing at the hands of the Braves. One game does not a season make, but what a way to get the season underway for the Braves. Georgia Gymnastics: A Dawg Dynasty! "31 and Done" in Atlanta!